Check Out Design & Promote At The Exhibitor Show In Las Vegas 2012 Booth 1166 Learn About Internet Marketing, Web Design and SEO For The Trade Show Industry. The Exhibitor Show 2012 Conference takes place at the Mandalay Bay Convention Center in Las Vegas, from March 4 to March 7, 2012. Design & Promote, a leading provider of SEO services for the trade show industry, will be attending this worldwide conference. Design & Promote has developed their own niche in the trade show and conference marketing industry, and services over 30 clients in that genre alone. Although they have a strong internet marketing client base with trade show display dealers across the US, their goal is to expand their expertise across the entire trade show industry at this show. Some of the other trade show related companies they want to focus their attention on at this show are trade show shipping, booth staffing, furniture rental, lead retrieval, trade show technology and others. Design & Promote has a wide range of internet marketing services available, including social media marketing, newsletter management, web design, search engine optimization – SEO, and anonymous website lead generation, all available in a custom package suited for each client. 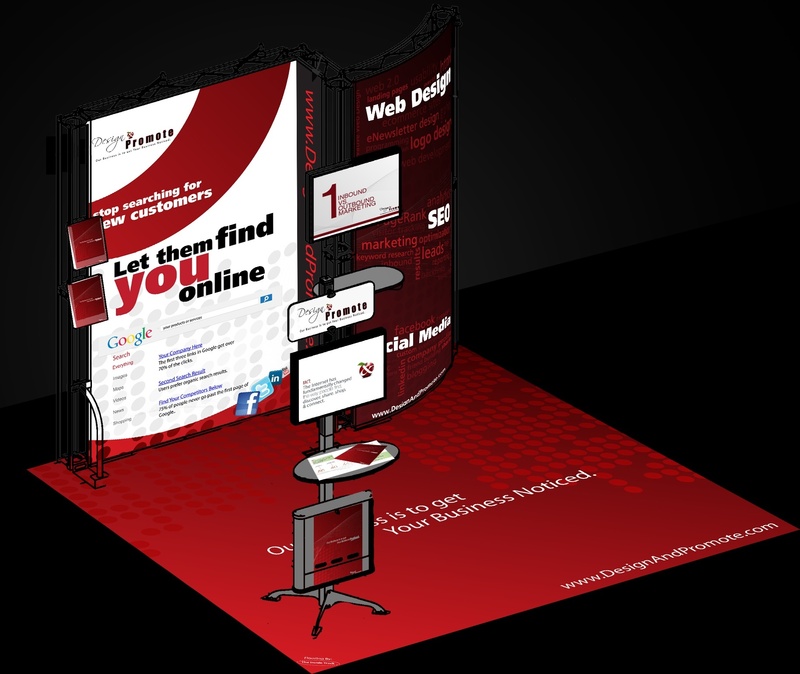 Since Design & Promote is an industry leader in SEO and has already established themselves as experts in the trade show internet marketing industry they can help to make your trade show company an online success. Bruce Jones the owner of Design & Promote has over 12 years of experience in the trade show industry while serving as service manager, technology manager and internet marketing manager for the Chicago area Skyline dealer Tradetec Skyline and as an exhibitor at previous companies he worked at. The Exhibitor 2012 conference will allow trade show companies to get a sense of what Design & Promote can do for them, and also let the company show off how focused they really are on helping their clients in any way possible. Design & Promote will be showcasing their partnership with VisiStat and their anonymous website visitor, business to business lead generation system called LeadCaster. While the company may be internet marketing experts across the United States, Design & Promote is looking forward to growing their business in the trade show niche by having their own booth at this show. The five-day conference gives leaders in the trade show industry the chance to see how Design & Promote can help them strengthen their online presence, increase website traffic and capture more leads that turn into sales. While at the Exhibitor Show stop by Booth # 1166 and have Design & Promote run a few reports on your website and learn how they can make your trade show company more successful by partnering with them. “Stop searching for new customers using traditional advertising and marketing strategies, use inbound marketing to help your customers find you online easier when they are looking for your products or services. We help you to stand out clearly from the crowd. Design & Promote makes it our business to get your business noticed,” concluded Jones.